Atoni Gaudí was a brilliant and polarizing architect. Whereas most architects will see their works compared and contrasted against others in their field, even the most knowledgeable architectural critics will look at Gaudí’s work and throw up their hands and say it must be something alien. The organic curves and mounds of Gaudí’s designs look hundreds of years ahead of their time. But Gaudí worked mostly around his home region of Catalonia, and the businesslike skyscrapers of Manhattan have never looked anything like the the architect’s designs. However, there was a time when a Gaudí NYC skyscraper almost came to be. In 1908, Gaudí designed a New York skyscraper. The details of the commission remain unclear, but the basic design sketches for both the exterior and a few interior areas are still alive today, and this building would have been historic: If built as designed, it would be taller than all but the very top of the spire of the Empire State Building, which was built 25 years later. Whether or not this building could actually have been completed is very much open to debate. Gaudí was no stranger to drawing up impractical designs: His magnum opus, La Sagrada Familia in Barcelona, has been under construction for 132 years, and even the most optimistic estimates say the building will take another decade to complete. Nevertheless, the structure is a world landmark and draws two and a half million visitors every year. Despite concerns over its practicality, the design is something to look at. It was called the “Hotel Attraction”, embodying a futuristic theme for Lower Manhattan. Rounded cones make up most of the building, somewhat similar to the trademark cathedral spires of La Sagrada Familia, but clustered together to form a single large tower. 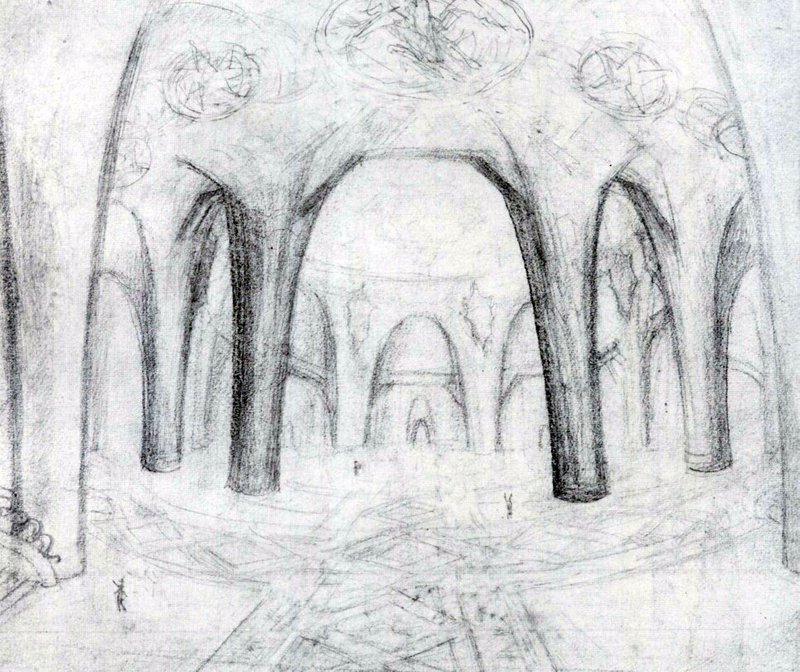 The design went unrealized and faded away, until Gaudí collaborator Joan Matamala brought it back to public attention with a report written in 1956 about the project. The design saw another spike in interest when it was proposed as a potential choice for the World Trade Center site after the Twin Towers disaster. Unfortunately, the reimagined 3D designs of the building circulated around that proposal lacked the timeless nature of Gaudí’s other work, shaping the building around a “futuristic” form that made it look too kitschy to be a serious contender for the WTC location. 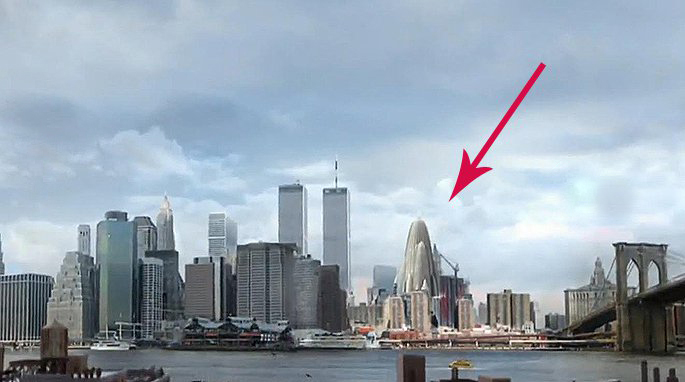 The proposal also managed to catch some network airtime in the TV show “Fringe,” appearing in the New York skyline of a parallel universe. 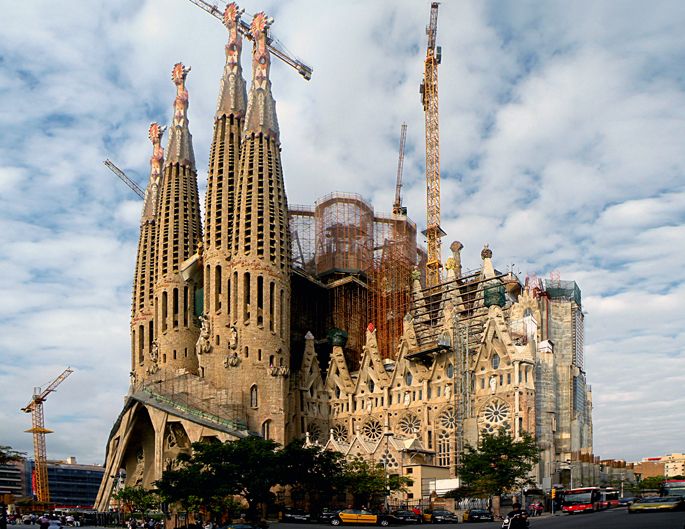 Gaudí’s buildings have always polarized critics, and the design for the Hotel Attraction may well have faced the endless construction quagmire that La Sagrada Familia has also had to deal with. But that building is nonetheless a gift to human culture, and a sight unlike any other in the world. You have to wonder how the world of New York’s architecture may have differed with such an alien, rounded, futuristic skyscraper towering over the whole skyline so early in the 20th century.